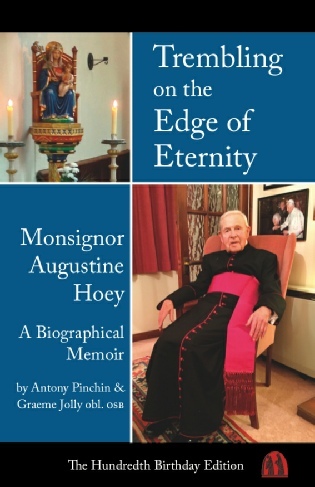 Through various moments of drama, such as surviving a wartime bomb and witnessing the tightening grip of apartheid in South Africa, Fr Hoey’s active life has concealed an inner desire for contemplation and intercessory prayer. After becoming a Roman Catholic in the 1990’s his work, as confessor, spiritual guide and preacher was based at Westminster Cathedral. At the age of 98, he moved to Walsingham to fulfil the vocation he felt as an undergraduate on his first visit to the Shrine. 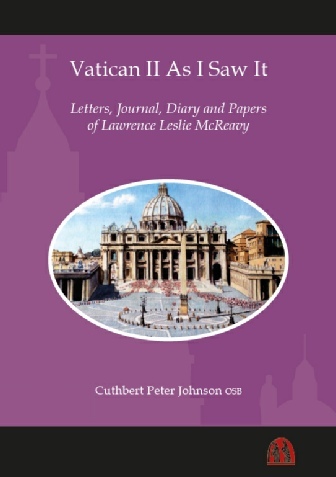 Fifty years after the Second Vatican Council, fascinating accounts of its progress have come to light in the diaries, letters and journals of Monsignor Lawrence McReavy, held in the Archives of Ushaw College. Sent as an expert, McReavy found that this duty quickly became a joy as he witnessed the optimism and enthusiasm of the Pope and the Council of Fathers gathered in Rome. Students, priests and staff at Ushaw College, Durham, were kept abreast of progress in regular letters which dealt not only with matters doctrinal and liturgical, but even culinary and sartorial, as the Council unfolded. The McReavy archive is a precious resource - Dom Cuthbert Johnson’s academic work along with his knowledge and experience of life in ecclesiastical Rome, make him uniquely-placed to unlock this important resource.